Note: iPad and VGA adapter not included. Turn your iPad into a Document Camera! 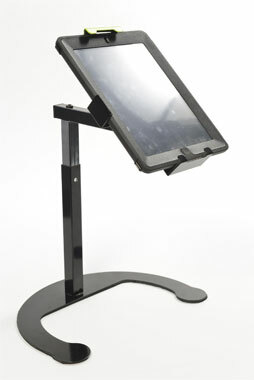 Instantly transform your iPad® into a document camera with the Dewey Document Camera Stand from Copernicus. 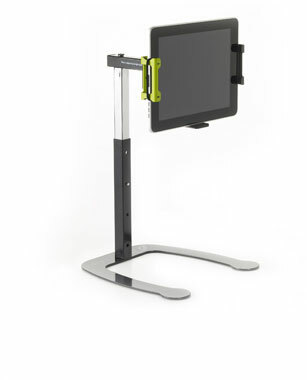 Simply attach your iPad 2 or newer version to the Dewey stand, connect your iPad to a projector with a VGA adapter (not included), and now you have a document camera at a fraction of the cost! 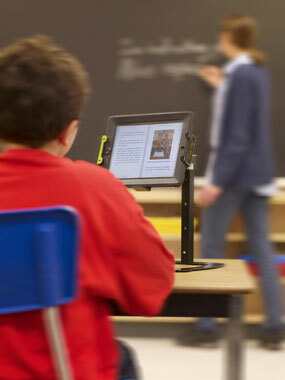 The Dewey stand is height adjustable, and can rotate and tilt to position the iPad downward toward the surface, making it ideal for projecting textbooks and other teaching materials onto a projector screen. 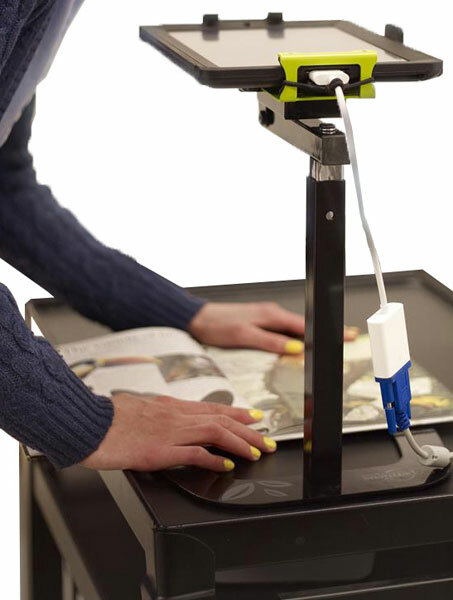 The Dewey stand also functions as an iPad stand when not in use as a document camera, perfect for reading documents and watching videos at a comfortable viewing position. 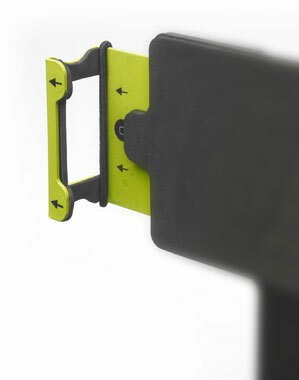 Foam clamps keep the iPad or smartphone safe while holding it securely in place. Change the orientation of your iPad from landscape to portrait with the stands' 90° rotation feature. 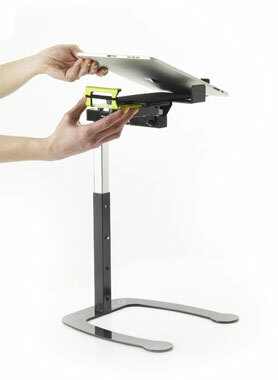 The base of the stand features rubber pads that keep the Dewey stand in place and keeps it stable on any flat surface. When using the Dewey and your iPad as a document camera, the provided Paper Positioning Template fits neatly between the open space of the Dewey's base to help you position your material when presenting. Provided elastic band will keep the VGA cable secured and in place when connected to the iPad, and prevents it from getting disconnected. 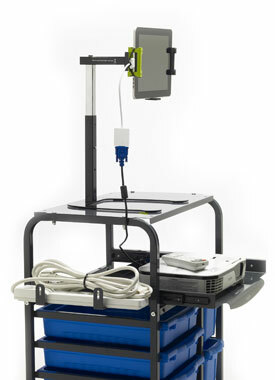 Note: you must have an iPad VGA cable adapter or you will not be able to connect your iPad into a projector, and will not be able to use it as a document camera. See accessories for necessary adapter.